Yet, as we approach once more, the great Three Days and witness Christ’s Passion, Jesus answers a much deeper question quite plainly. “For whom did Jesus do all of these?” For whose sake did he stop along the way and have compassion on those whom he met? For whose benefit did Jesus preach the parables and perform so many miracles? Who was it that benefited from his suffering and death? Who did Jesus come to deliver from the powers of sin? We read in scripture that on that night Jesus was handed over, he gathered his disciples, his closest friends, and told them about the things that would soon happen. Jesus didn’t explain the full meaning of his death, but he left no doubt as to its significance. Jesus met the twelve in a most intimate time and place, during the Passover meal. He offered them his body and blood for their deliverance. He did it for them, he did it for you, he did it for all people. In the same way, even now our Lord Jesus meets us at the table. He provides more than just bread and wine. He gives us more than a means to remember his sacrifice. Jesus provides us with heavenly food, his very own body and blood. Never was there a gift so precious, never was there food so satisfying. He gives it to you and to me; Jesus offers this for all people, that is why Jesus came to earth. Jesus came for you and for me; he came to deliver God’s people from sin. 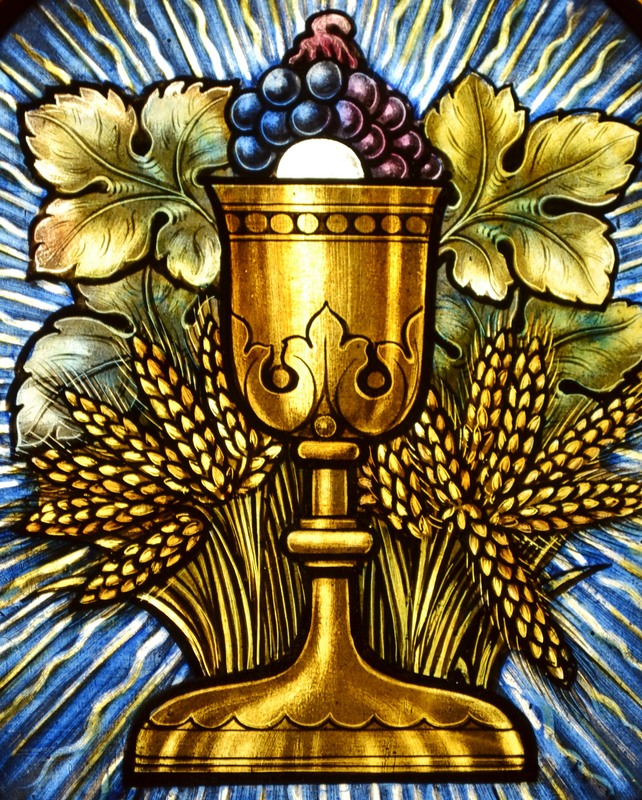 The bread we share and the wine that is poured is more than a symbol of this gracious act. It is more than a symbolic act of remembrance. Jesus meets us at his table so that we might have life, light and hope in his name! The journey of Lent is a difficult one, and the path through Holy Week is also. As God’s people we are called to witness the events of our Lord’s Passion. We are called to worship in the upper room and receive Christ’s commandments. Jesus calls us to go with him to Gethsemane and keep watch and to pray. And finally, God’s people are called to focus on the cross of Christ there upon Mount Calvary in order to witness God’s saving act through the innocent death of his Son. Many who read blogs such as this have a place where they regularly attend worship. But if not, I invite you to find such a place. I encourage you to gather with Christians at the Lord’s house and worship during these next three days. Come hear the Word of our Lord. Contemplate the meaning of Christ’s suffering and death. Realize, beyond a shadow of a doubt, Jesus did all of this for you. This entry was posted in Worship and tagged Bible Study, Christianity, Eucharist, faith, Good Friday, Gospel, Holy Week, Jesus, Last Supper, Lent, Passion of Christ, religion, Teaching of Jesus. Bookmark the permalink.